Notes: The station was opened as Osterley for Spring Grove but this was soon shortened to Osterley. There is some confusion over the name, with the board at the front of the station showing Osterley Park & Spring Grove but the platform signs just showing Osterley. From the outset tickets showed the name as Osterley. 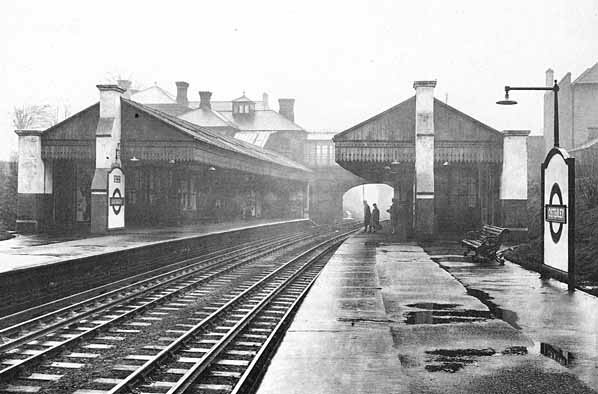 As London expanded during the 20th century the station was unable to cope with increased passenger numbers so a new larger station was built on the Great West Road. Soldiers were billeted in the old station building during WW2 but since 1967 it has been a bookshop. 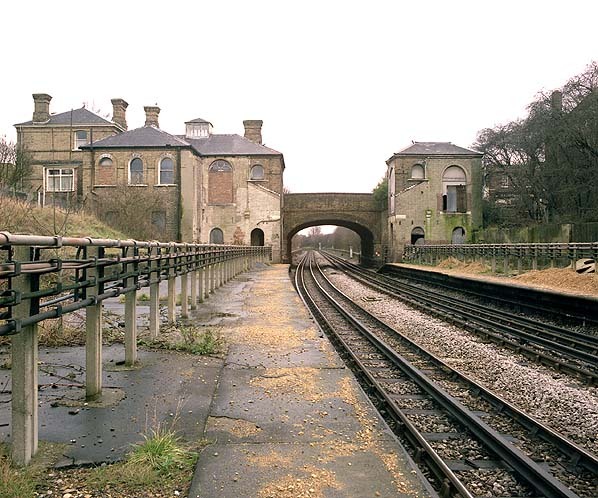 Photo:Osterley Station in December 1983. The line of the platform canopies and the entrance to the two stairways can clearly be seen.